Cut the brinjal length wise like french fries. Put all the ingredients in a big bowl axcept oil. Now add little water slowly and make batter without any lumps. 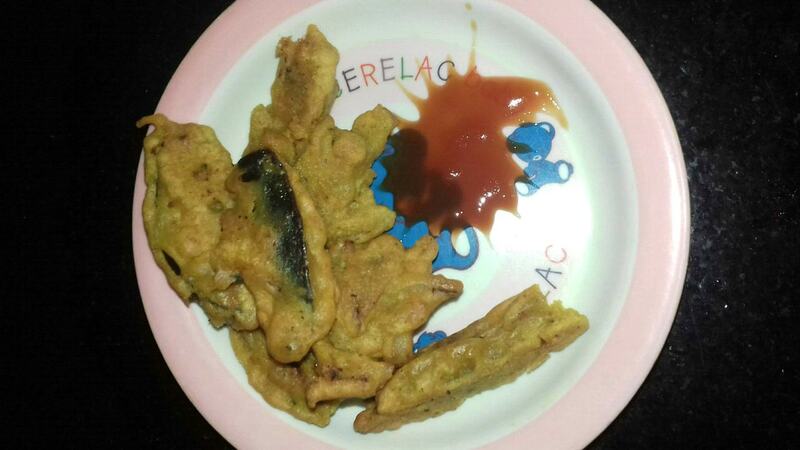 Heat oil in a wok and dip the brinjal pieces into the batter and deep fry on midium flame till golden brown colour. Take out on tissue paper for observed extra oil. Serve hot with sause or chutney.